Regionally, the results are quite stable. While there have been movement in Canada’s smaller provinces, the shifts are not statistically significant due to the small sample sizes. 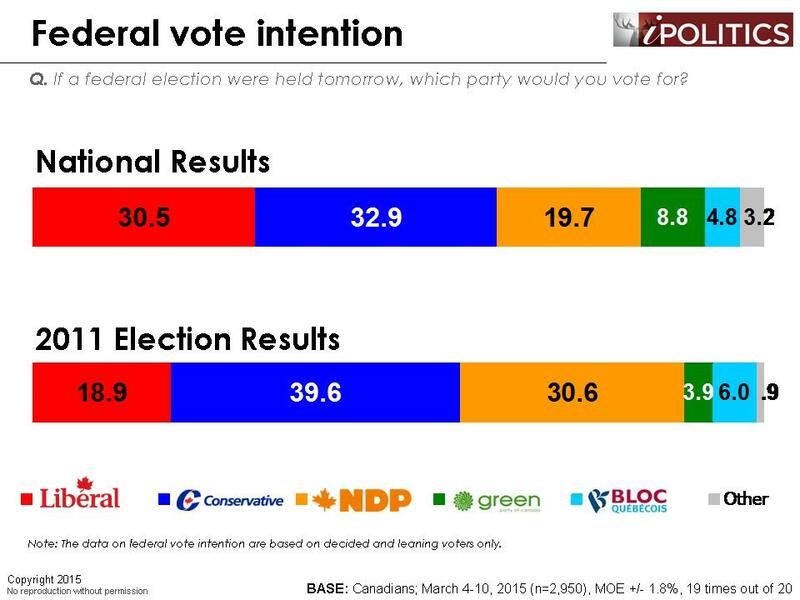 The Liberals lead in the Atlantic Provinces and are statistically tied with the Conservatives in Ontario. 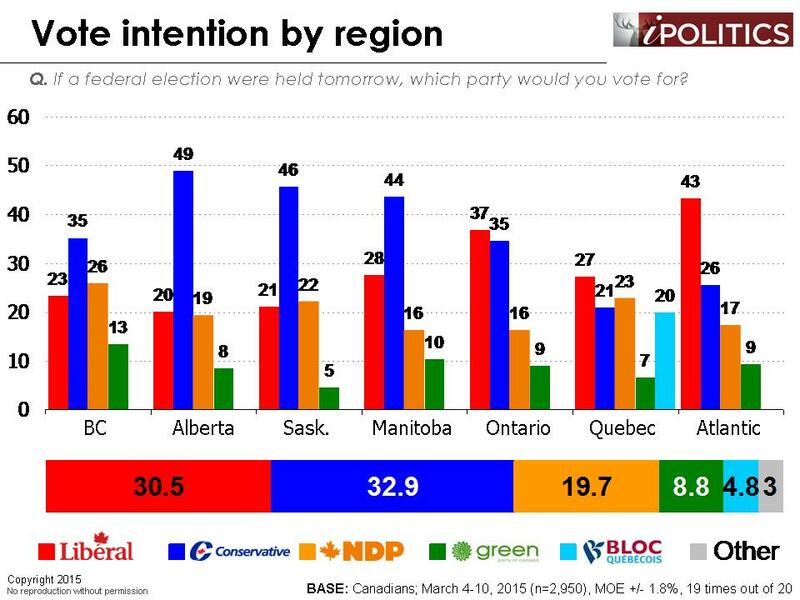 The Conservatives utterly dominate the Prairies, except for Manitoba where the Liberals are showing some signs of life. 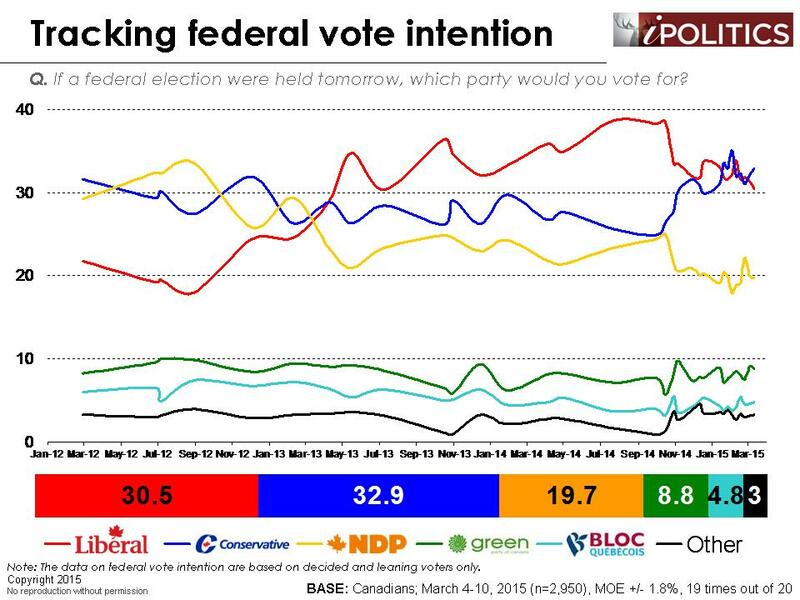 Quebec and British Columbia are still very much anyone’s game, with four parties vying for control in each case. 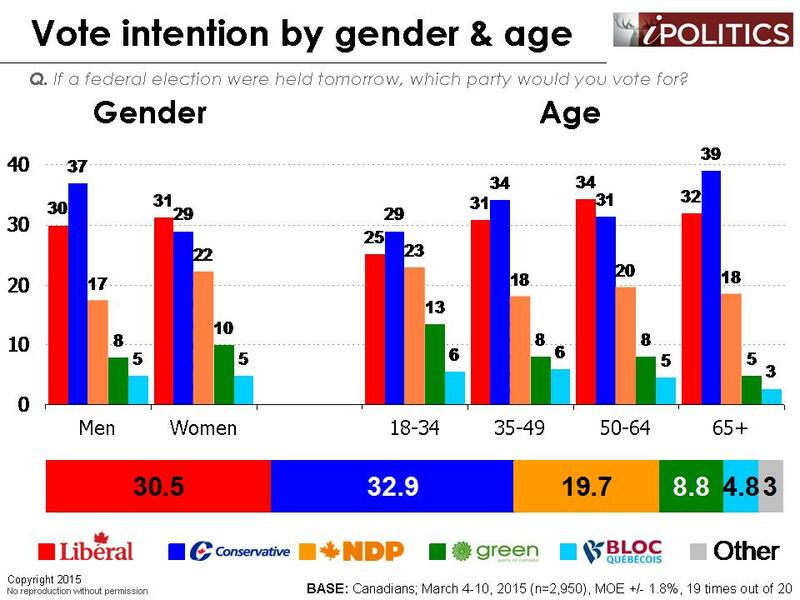 The Conservatives still lead with men, although they continue to struggle with women. 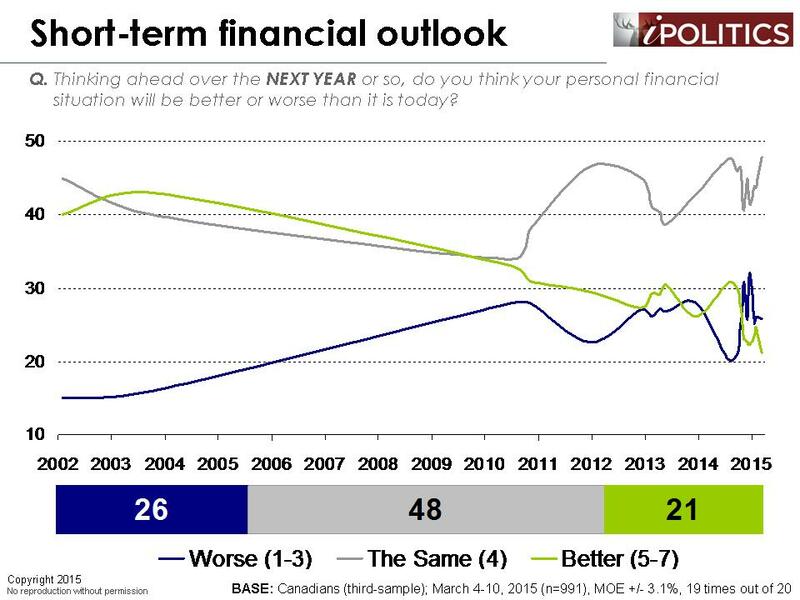 The Conservatives do very well with seniors, while the Liberals do comparatively better with Baby Boomers. 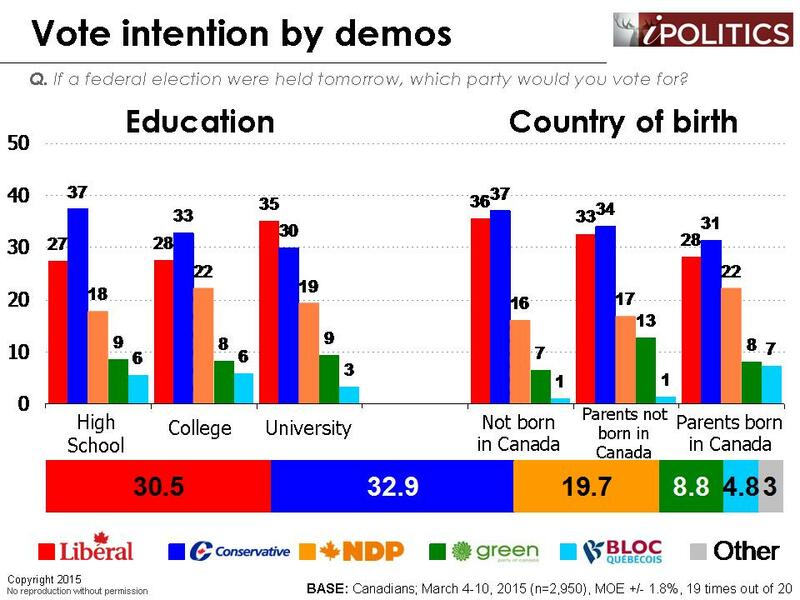 The Conservatives continue to lead with the high school and college educated cohorts, and university graduates still lean Liberal. Turning to the ISIS mission in Iraq, this is an area where the government is clearly in tune with the public. 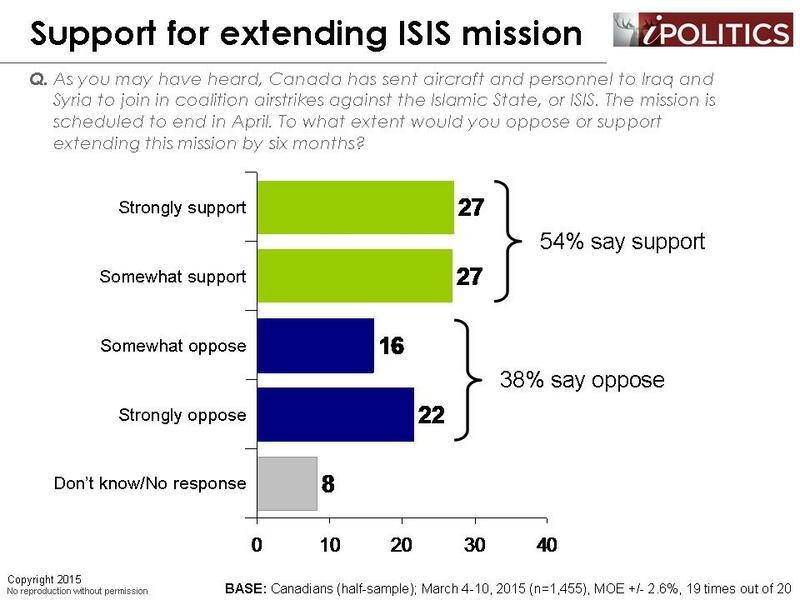 Most Canadians support the mission in its current form and, indeed, there is evidence that support is growing. Furthermore, there is clear (albeit, a little more muted) support for extending the mission by an additional six months. 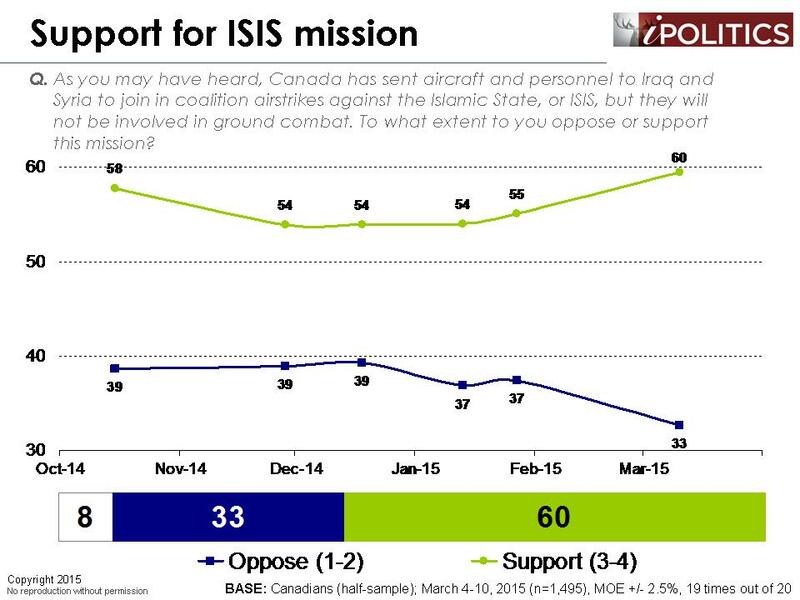 As with most military interventions, however, this support is not likely to last. The Afghanistan mission, for example, was greeted with widespread enthusiasm. By 2010, half of Canadians opposed the mission and there was little appetite for extending the mission any further. Today, the mission is widely regarded as having been a failure. However, given the pattern we see developing, it is unlikely that this support for the ISIS mission will evaporate in the short-term and it may very well hold through the next election. Nevertheless, we have no doubt that the long-term view will turn into another Libya/Iraq/Afghanistan. 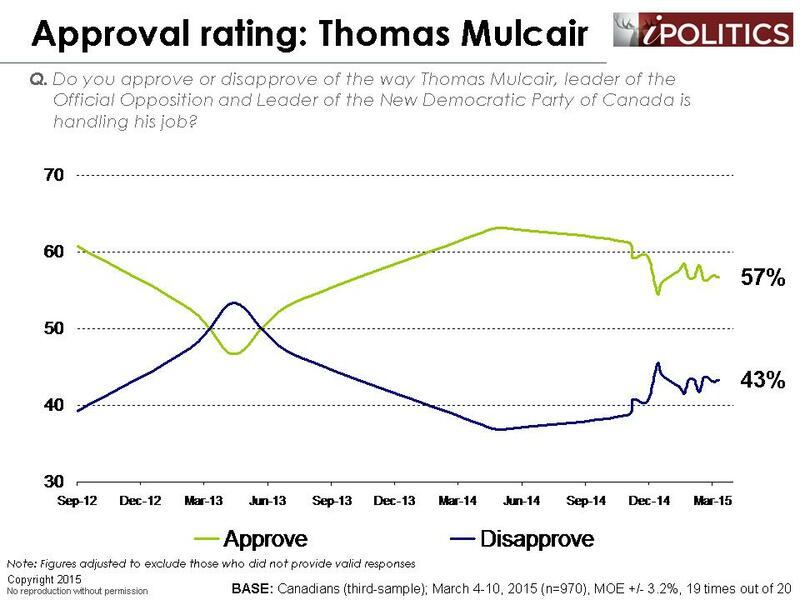 But so far, it is surprising how strong public support has remained given past experiences. 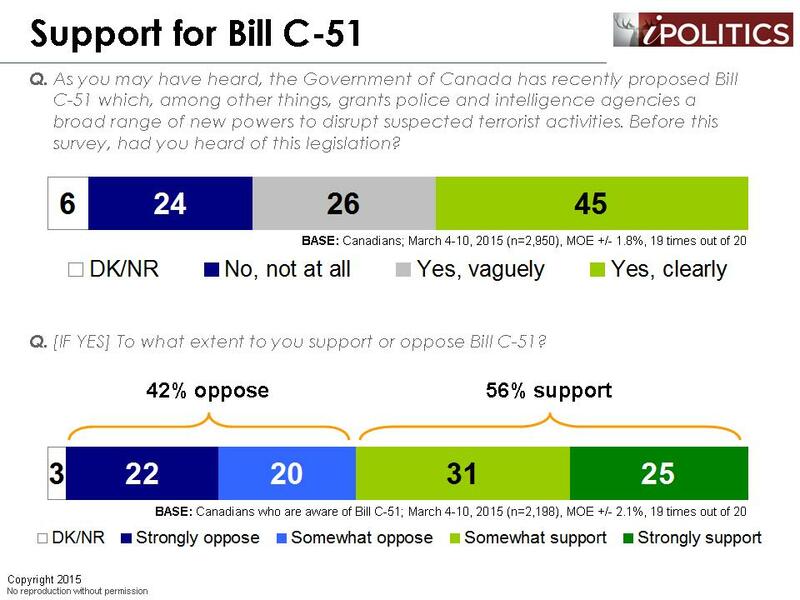 Bill C-51 another area where Canadians approve of the direction of the federal government, but support is not nearly as unanimous as some have suggested. 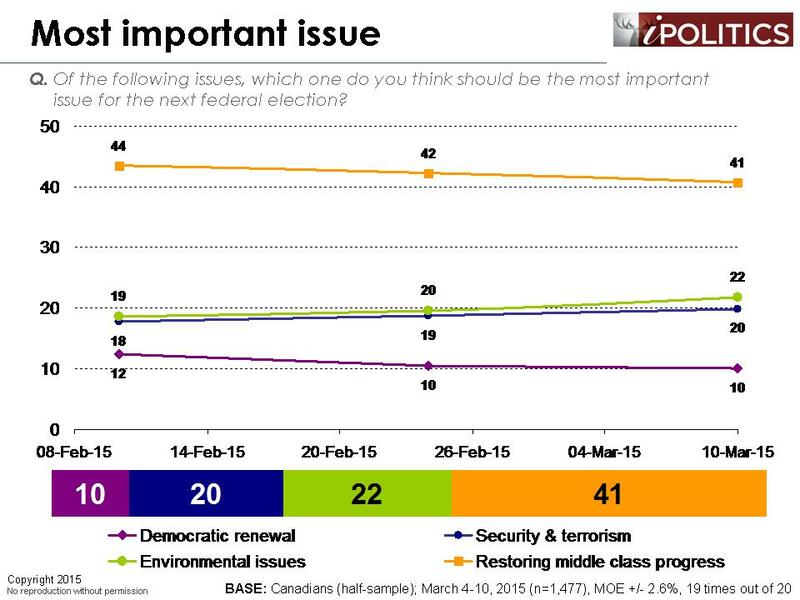 Awareness of the bill is quite high – fully 71 per cent of Canadians are at least vaguely familiar with the details. But support is heavily divided along party lines. 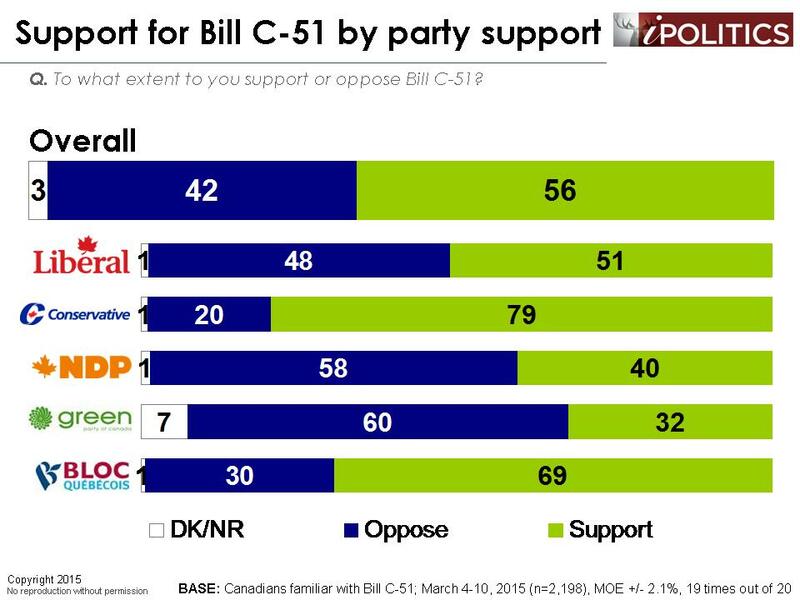 Liberal supporters are evenly split on the issue, while NDP and Green Party supporters are staunchly opposed to the bill. Bloc Québécois supporters are surprisingly on board with the bill, although this is likely a reflection of security and culture concerns, which have been particularly salient for Bloc voters lately. Despite widespread support for the ISIS mission and broad public disapproval of wearing niqabs and citizenship ceremonies, the federal government’s preoccupation with culture and security issues is markedly out of tune with the priorities of Canadians. Indeed, while the government has been fixating on what women should wear to a citizenship ceremony, we are now looking at our worst-ever economic update (see Annex 1). 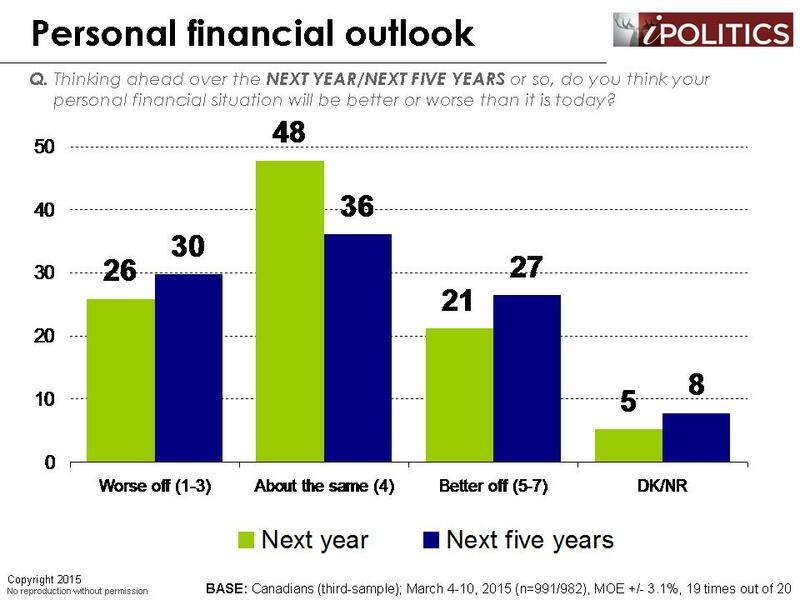 Just one in five Canadians believe they will be better off a year from now and just over one in four believe they will be better off in five years’ time. These figures decline sharply as we move down the socio-economic ladder. This is not say that values and security are not important. Indeed, in our latest update on most important issue, one in five rate security and terrorism as their most important issue. However, these issues are seen as far less important than restarting middle class progress. 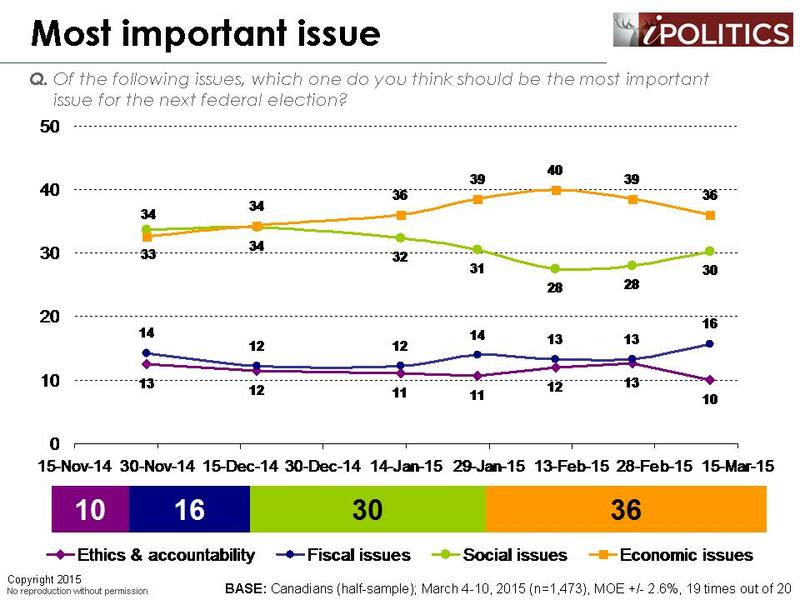 Furthermore, in a separate question, economic issues have displaced social issues as the leading concern over the past four months. Perhaps it is time to concentrate our efforts where concerns are most acute. Finally, it is worth noting that despite the worst economic outlook ever recorded, job confidence is at it’s highest levels in decades. How do we square this circle? We first remarked upon this apparent paradox in January. Job growth over the past few years has largely been isolated to lousy, non-standard employment. Even erstwhile good jobs are failing to produce progress or security. 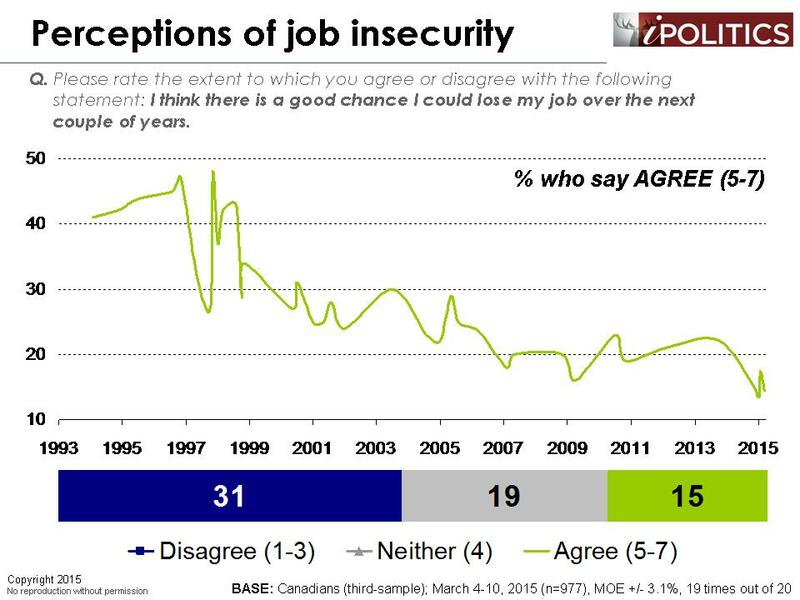 Therefore, job confidence does not carry the same meaning as it did before and there are acute concerns about declining job quality. On the other hand, in an uncertain environment, people will minimax according to game theory. And what is the maximum loss you want to minimize? The answer is your job – even a crappy job. 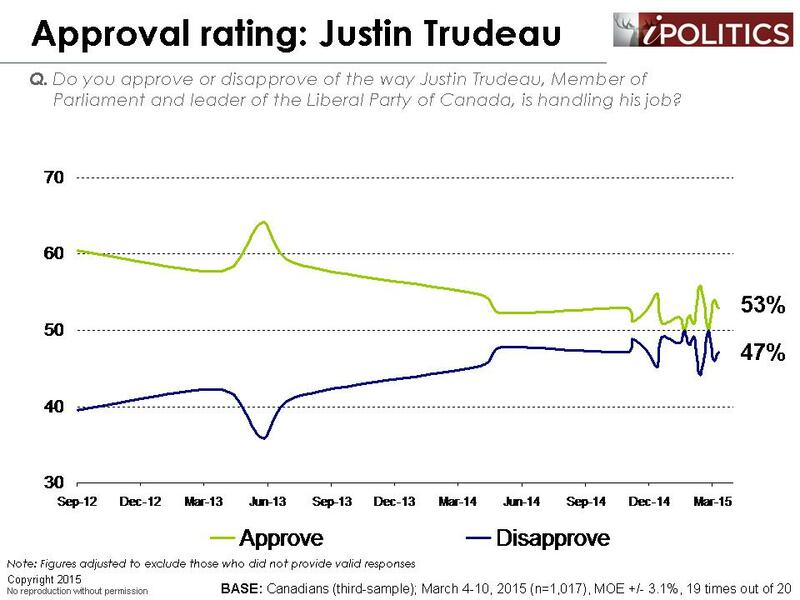 This desperation may be what is driving some of the hidden incumbent premium we have been seeing in recent provincial elections and certainly warrants further study. The field dates for this survey are March 4-10, 2015. In total, a random sample of 2,950 Canadian adults aged 18 and over responded to the survey. 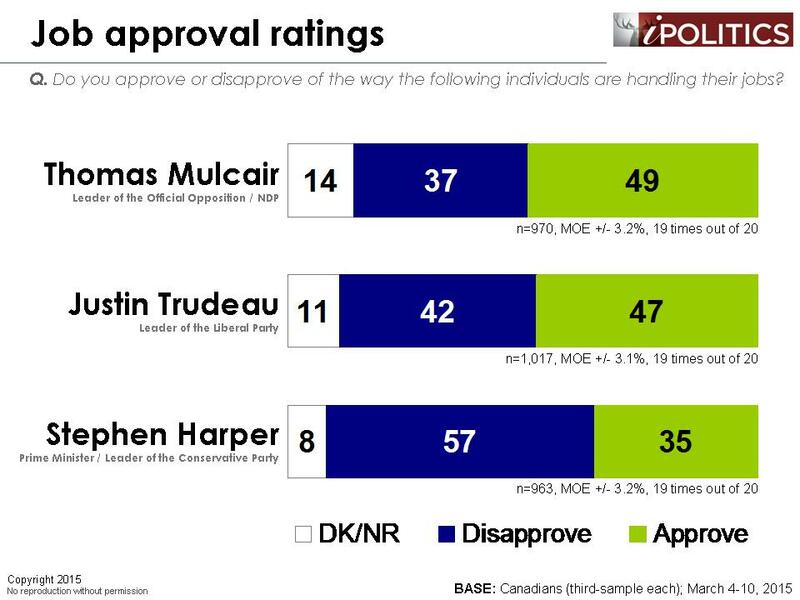 The margin of error associated with the total sample is +/-1.8 percentage points, 19 times out of 20. 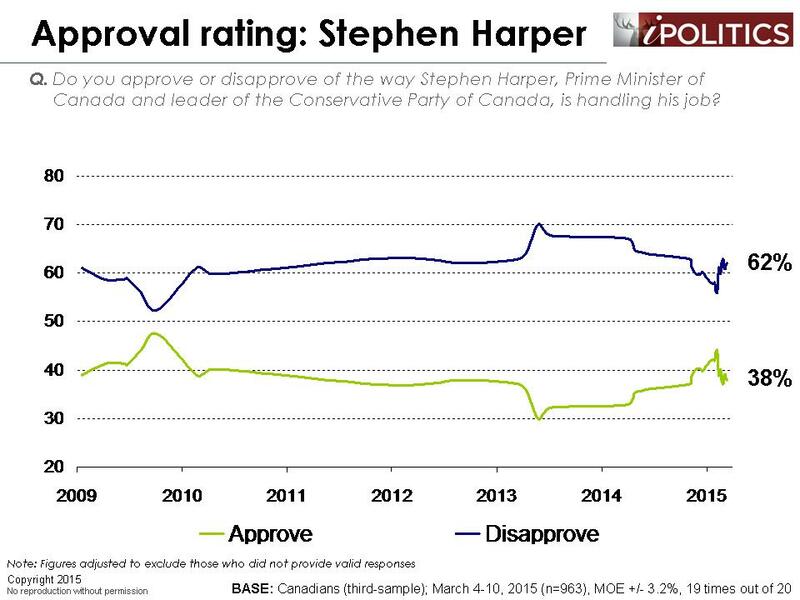 Its voters like, MR .Aiyadurai Kesarajothy (HENDRY ), the make me want to vote against Harper. Voters’ comments do influence my vote.